Regardless of whether a woman wants to start a small business or a large company, she is likely to face unique challenges. Women Work-life balance continues to be a top challenge faced by women entrepreneurs and working women everywhere. A recent Forbes.com article states, “85% of women claim responsibility for the grocery shopping, meal preparation, laundry and household cleaning.” Running a household may take women away from running and growing their business. 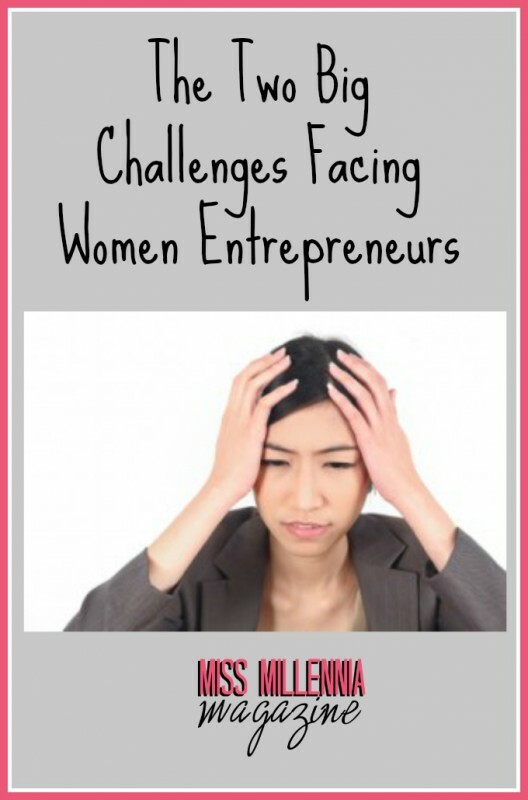 Funding is also a major challenge facing women entrepreneurs. Most women self-fund their business but women requiring a large amount of initial capital find it difficult to attract venture capital funding. According to a report by the Kauffman Foundation, women only receive between 4 and 9 percent of venture capital dollars. “People are not used to seeing women in these leadership positions and women must often face being the only woman in the room, at the conference, in the venture capital competition, etc.,” says Sabrina Parsons, CEO of Palo Alto Software, makers of Business Plan Pro. “You don’t often see an albino squirrel so when you do, you are going to look at it more closely, scrutinize it more, and wonder if different is good,” Parsons continues. As we move forward we need to prove that different is, in fact, good. As women entrepreneurs, we bring a unique perspective to entrepreneurship and to leadership. As today’s young women entrepreneurs carry the torch that was passed to us by other trailblazing women, we have a responsibility to ensure the next generation of women entrepreneurs have even more opportunities to shine. Going back to the experiences that I discussed in part one, I feel we need more balanced speaker panels at business conferences. We need more women business professors at our colleges. We need to support each other and collaborate more as women entrepreneurs. When I was a little girl and my parents told me I could do anything, I believed it. And I believe it even more today. Let’s not forget how far we’ve come, but let’s be mindful of what we’re still capable of achieving and what the next generation of women will be capable of achieving. Remember to dream BIG. I’m excited for everything that’s to come! Woah this blog is great i like studying your posts. Stay up the great work! You realize, lots of persons are searching round for this info, you can help them greatly. This is a really well written article. I will be sure to bookmark it and come back to read more of your useful info.